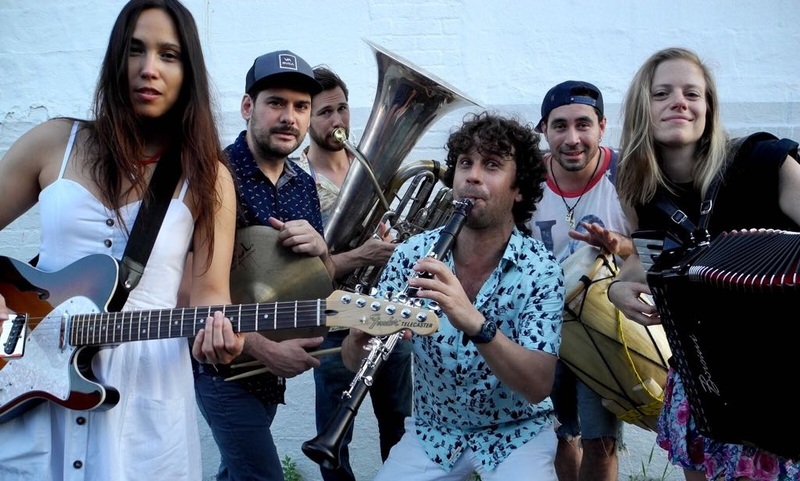 Colombian-born, NY-based multi-instrumentalist, composer, folklorist, musical explorer Martín Vejarano has championed music of Colombia in NYC with La Cumbiamba NY, Chia's Dance Party, and NYC Gaita Club. He joins us to introduce his newest project, one that goes to the heart of Colombia's most famous music: The Cumbia River Band. 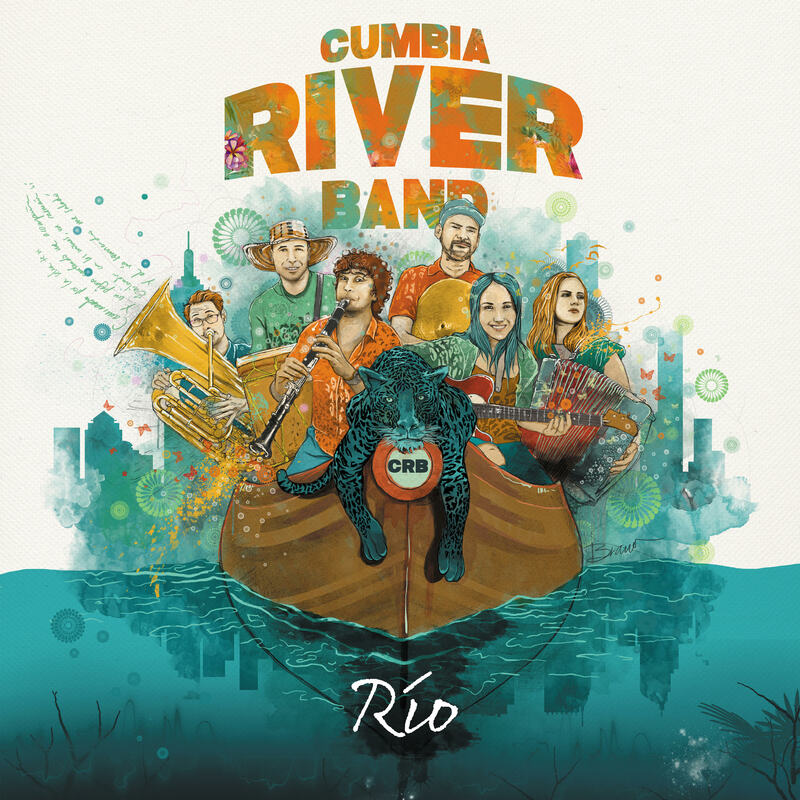 The Cumbia River Band celebrates the vinyl (and digital) release of its excellent debut LP Río with a show Friday November 30th at 10 pm at Terraza 7, 40-19 Gleane St in Elmhurst, Queens. Terraza 7 is a hotbed for new musical explorations with roots in the Spanish speaking world. Martín joins us on tonight's show to introduce songs he wrote for the album, plus we'll hear how the band has transformed some cumbia classics. Please follow Cumbia River Band and give them a like on facebook at https://www.facebook.com/CumbiaRiverBand/ - thanks! TICKET GIVEAWAY TONIGHT to see The Klezmatics performing Woody Guthrie’s Happy Joyous Hanukkah - A Celebration, with special guest Susan McKeown, at Murmrr Theatre, 17 Eastern Parkway in Brooklyn, Sunday night December 2nd at 8. To get in the running for a pair of tickets: Email me, Rob W, here, and please put the word "TIX" in the subject line. Deadline to enter is tomorrow night (Sunday) at midnight. Two pairs of tickets are available. Anyone may enter but this will be a weighted giveaway (scroll down for more info). Winners will be notified by Monday. The Klezmatics celebrate Yiddish culture at the time of year when candles and family warm the dark nights. As outspoken human rights advocates, their Hanukkah celebration embraces audiences of all cultures and backgrounds. The songs featured in “Woody Guthrie’s Happy Joyous Hanukkah" are based on "lost" Guthrie lyrics set to new music composed by the Klezmatics. Special guest Irish singer/songwriter Susan McKeown who has been called “the most strikingly original woman singer” in Celtic music. The Klezmatics also perform Woody Guthrie’s Happy Joyous Hanukkah at SOPAC in South Orange NJ on Thurs night Nov 29, at Troy Music Hall (near Albany) Sat night Dec. 1, and at Emelin Theatre in Mamaroneck NY on Sat night Dec 8. Info and links for all these shows are here: http://klezmatics.com/events/. To get in the running for a pair of tickets: Email me, Rob W, here, and please put the word "TIX" in the subject line. Deadline to enter is tomorrow night (Sunday) at midnight. Two pairs of tickets are available. Winners will be notified by Monday. Note: Anyone may enter but this will be a weighted giveaway with preference as follows: First preference to listeners who have never won tickets on this show. For those who have won tickets on this show in the past, priority be based on the amount of time that has passed since the last time you have won tickets on this show (in other words, the longer it's been since you last won tickets on this show, the better your chances to win this time). GIG: Frank London's Klezmer Brass All-Stars are among the various performers (and many others) participating in Winter's Eve, an evening of free happenings in the Lincoln Square area of Manhattan (from Columbus circle north to Lincoln Center) Monday from 5:30 to 9 pm. GIG / Giveaway: We're giving away a couple of pairs of tickets to see the Klezmatics Woody Guthrie-themed Hanukkah show Sunday night Dec 2 at Murmrr in Brooklyn. To get in the running for a pair of tickets: Email me, Rob W, here, and please put the word "TIX" in the subject line. Deadline to enter is tomorrow night (Sunday) at midnight. Winners will be notified by Monday. Hi Rob ! TSP listeners! Hi Rob! Hi Chresti and all! And away! Hi, Rob and all. Holaaas!! My mother is a blend of Colombia, Panama , and Cuba. Wish she could be here and enjoy the show with me. Hi Ken from HP and hi Smilty69 and Contrary Mary, thanks for sharing your familial connections! An acquaintance of mine was from Colombia and had a Cuban wife. They've since moved to Florida and I've lost track of them. The should tune in tonight! sure way to lift me off my bottom! Cumbia River Band sounds great! One of my first dates with my wife was watching Groupo Niche in Union City, NJ! Sure thing, thanks Sonia, the album sounds great! Cumbia River Band sounded great. Thanks, Rob, Martin, Sonia and the rest of the musicians. Loved the show tonight thank you! Thanks Rob! Great sounds this evening! Fantastic show tonight, Rob! Really enjoyed the Cumbia River Band! Well done, Rob. Thanks for the show tonight.